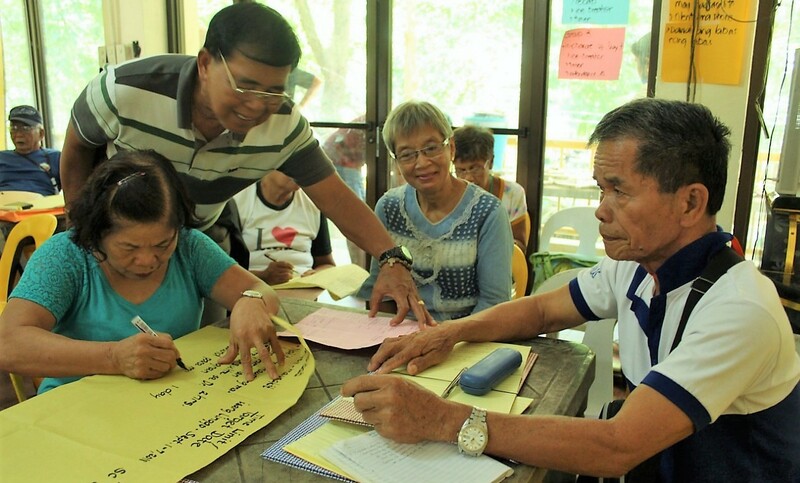 The Coalition of Services of the Elderly, Inc. (COSE) an Influencing Grantee in the Philippines is keen on improving access to social services for vulnerable older persons through the strengthening of Older Persons’ Organizations (OPO). Their project specifically strengthens the capacity of the OPO in engaging in local policy and programme formulation on social protection, enhancing monitoring and accountability mechanisms of the social protection programmes, and heightening public and government awareness on social protection programmes as well as rights and entitlements of older persons in three target municipalities. 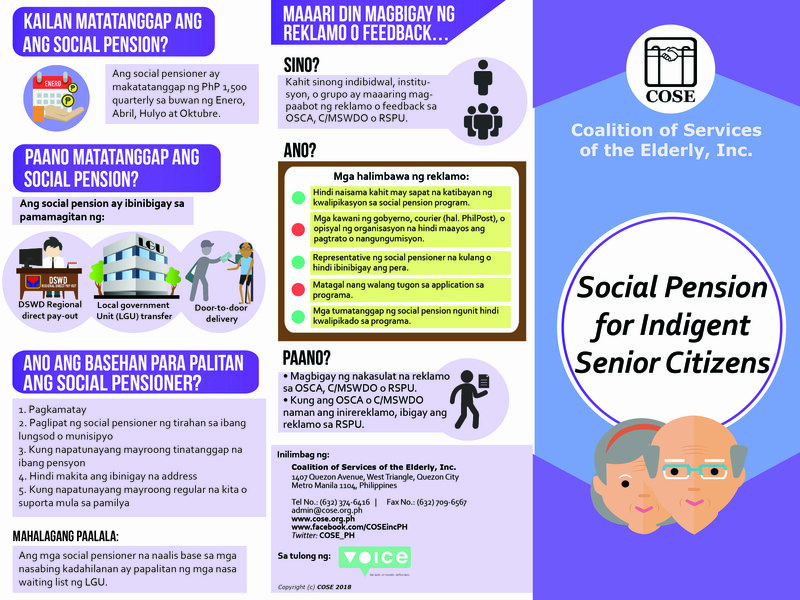 As part of their awareness-raising campaign, COSE is developing communication materials that inform the public on the primary law established for older persons or more commonly known in the country as senior citizens. Another brochure was developed to provide a guide on the social pension system for indigent senior citizens as mandated by the law. 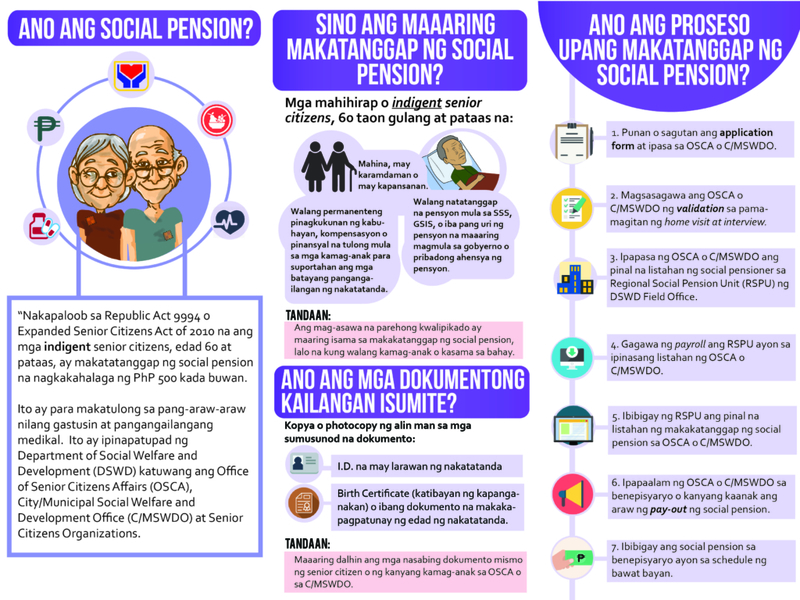 Apart from the process of applying for and receiving social pension, this brochure also includes information on how one can give feedback or complaints to the proper offices. The project is now on its second year and is continuing to improve the socio-political space for older persons and leave no one behind.